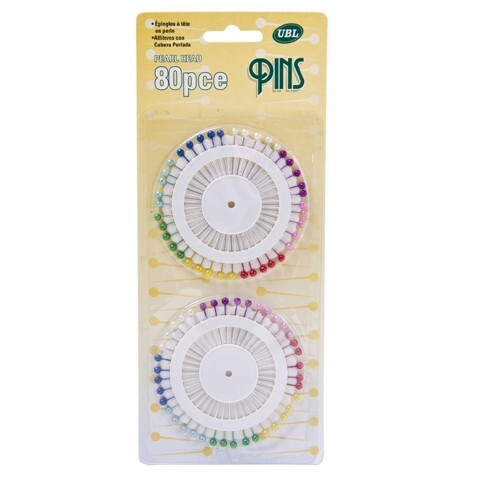 Pins Pearl Head 80Pk. 4cm Pins l 0.6mm Rnd Pin l 4mm Head. Assorted Coloured Heads. Plated Metal | Plastic Heads. 34G Packaging: Blister Card.